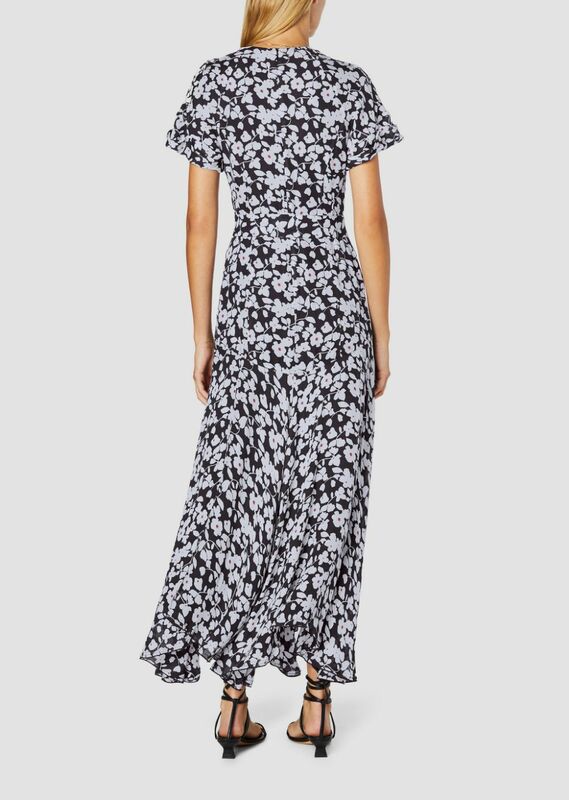 One can always rely on Derek Lam's 10C designs when in search of modern chic style. 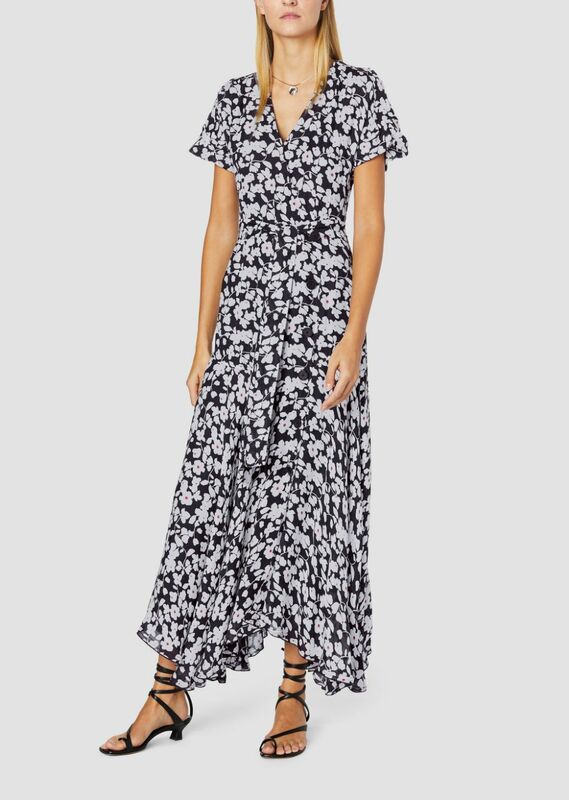 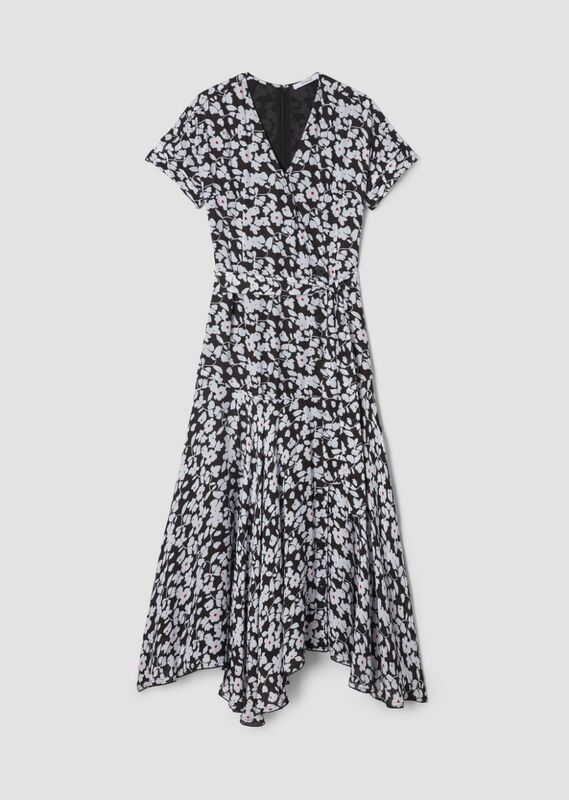 Cut from double-weight georgette with touches of silk, this feminine floral wrap dress has a V-neckline, cuffed short sleeves and a loose, flowing silhouette. 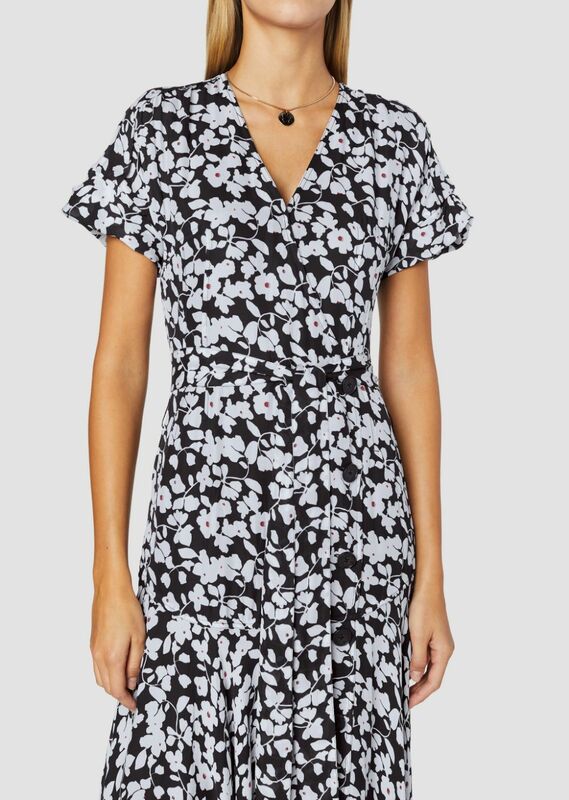 Features a zip closure at back, sash belt and button front detailing.